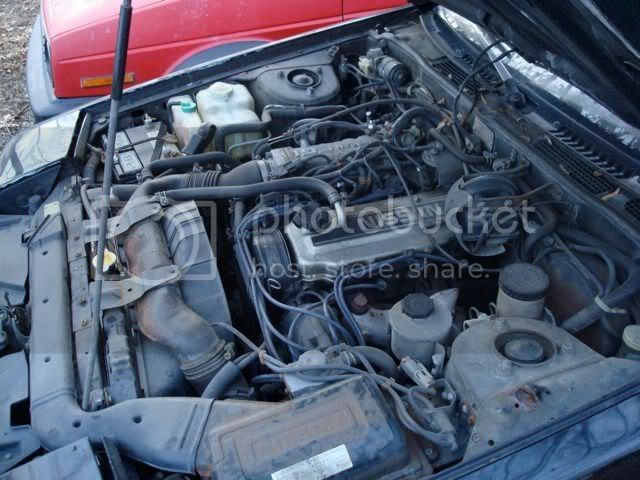 Club-S12 - [PA - Phila] complete CA20E engine w/ 5 speed trans FS - pickup only! 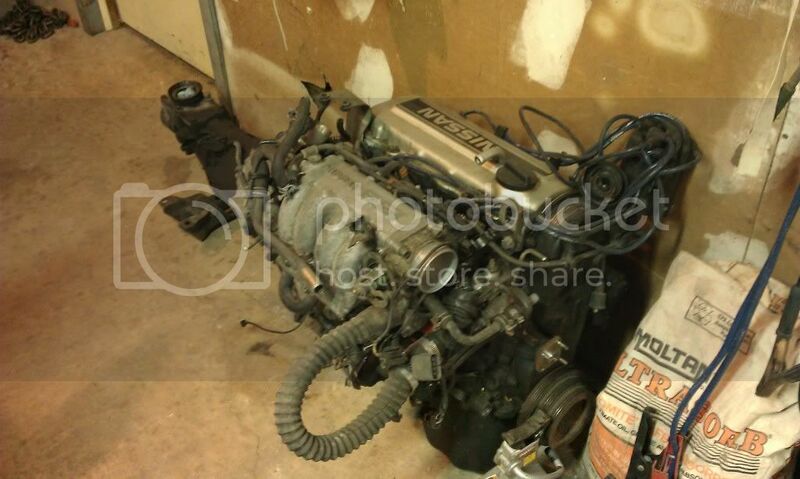 [PA - Phila] complete CA20E engine w/ 5 speed trans FS - pickup only! i have a complete 1986 CA20E engine and 5 speed transmission that i just pulled out of my project car. the motor ran and the car drove before pulling it - unfortunately i do not have video of the engine running prior to removal and i will say that the engine did smoke for the first few days until it was warmed up, most likely due to prolonged sitting and dried out valve guide seals. it did not smoke after being driven a few days in a row plus it did not run hot or ever break down on me. 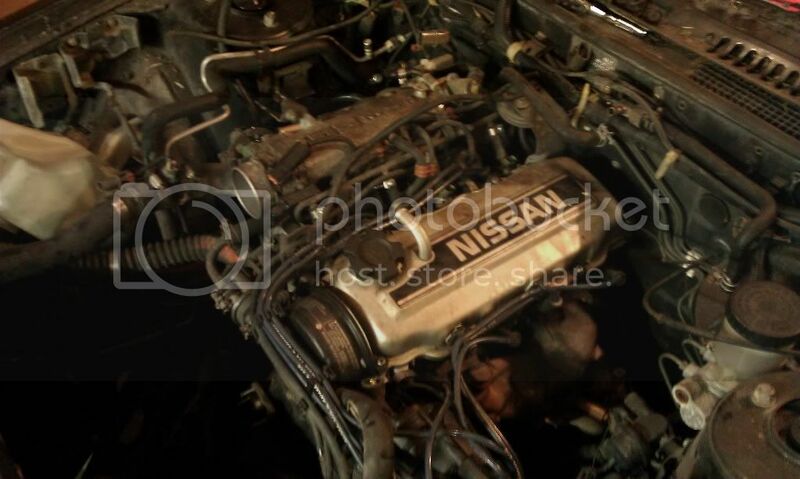 it has a KA24DE throttle body swapped onto it but comes with the original too. the car has just over 172K on it. it is located about 35 minutes outside Philly PA and comes pretty much complete, as you can see in the pics i've included. i have the fan, alternator, and other misc. parts. the distributor cap is off so it could sit closer to the wall since space is at a premium in my garage. 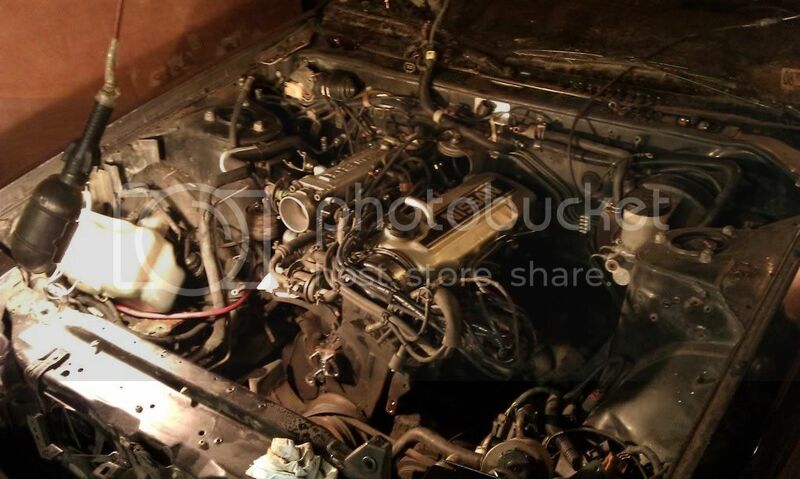 i will sell the engine + trans complete or engine and transmission separately or will part them out. 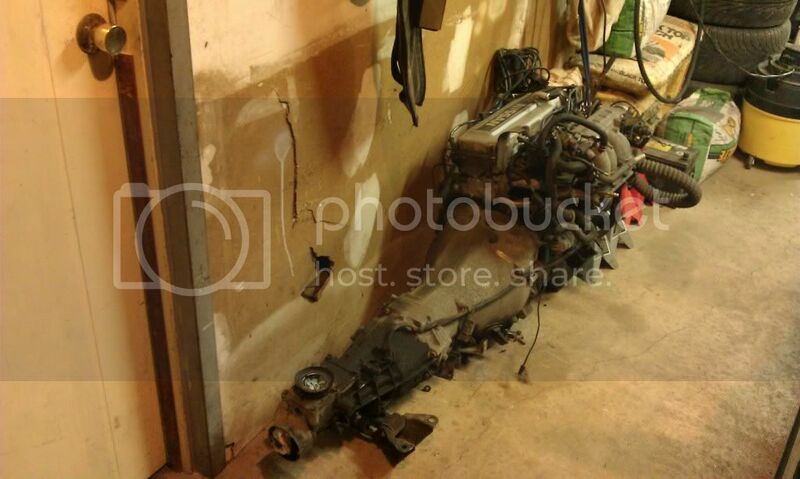 $300 for both / $150 for the engine / $175 for the trans. will ship smaller parts (throttle body, alternator, exhaust manifold, etc). make me a reasonable offer for whatever but no trades, thanks! 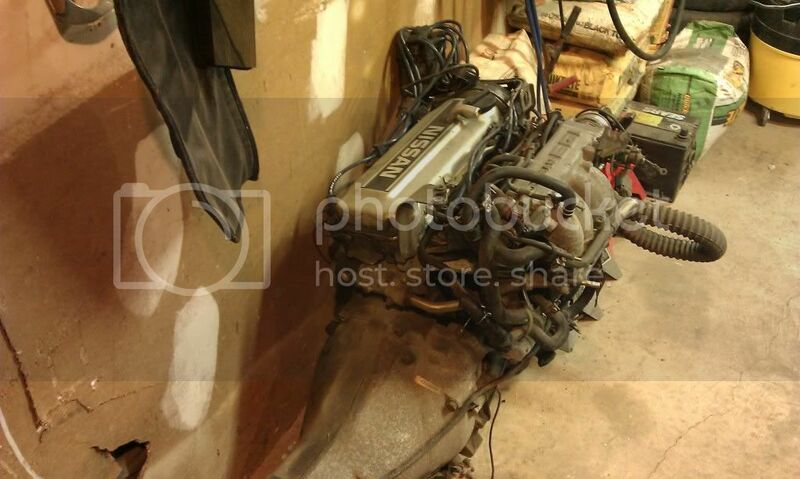 Re: [PA - Phila] complete CA20E engine w/ 5 speed trans FS - pickup only! A reasonable offer for the value of this engine and transmission is going to be vastly lower than you're expecting. 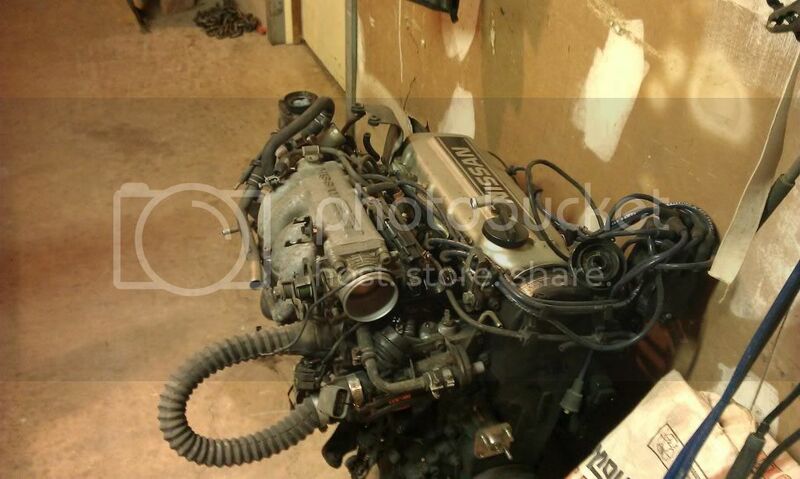 173k CA20E = 100 dollar motor. Just putting out a strong suggestion to lower your price significantly for whole. Or sell individual parts. People across the pond LOVE our intake manifolds, and will pay for it too. hey, i was just reading your build thread, lol. That's much closer to market value. Carry on! i'm near Lansdale... i used to be out your way a lot when i hung out in Pottstown. My brother lives in pottstown. depends on where in pottstown, hehe. Yeaah more east coast nutheads! What is your price of admission to the collector of your engine? would it be possible to send the piece in France and at what price? !